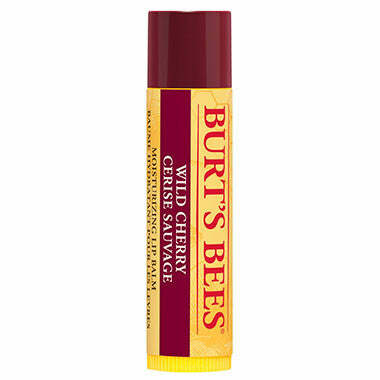 Burt's Bees Lip's Balm are made of natural flavors. Especially designed to protect and nourish your lips during all seasons of the year. Made with rich cherry oil—cold pressed from cherry seed kernels—this balm’s sweet, natural flavor with just a hint of tartness will invigorate your senses and pamper your lips. A luxuriously complex and comforting lip balm bursting with all-natural vanilla. Couple that with moisturising Shea Butter and soothing Vitamin E, and you’ve got a true treat for happy lips. Bring your lips back to beautiful. This replenishing and hydrating natural lip balm is infused with the antioxidant goodness of pomegranate oil. It replenishes moisture to reveal smooth, healthy-looking lips, while it coats them with a hint of colour for an even-toned appearance. Is it possible to kiss your own lips? Because you'll want to after sweetening them with a burst of nutritious, tropical Pink Grapefruit Seed Oil that's rich in conditioning vitamins. When you indulge in the fragrant luxury of the tropics, you're not just naturally moisturizing with Coconut Oil, Pear Extract, and Shea Butter. With a surge of moisture delivered in each swipe, lips will become as juicy as the fruit that inspires us. You’ll surely be singing the praises of summer berries no matter the season.